The European Tour’s flagship event takes its customary place in the last weekend of May and while last week’s event was quite interesting, the Tour is in much need of an elite field event with a run of low quality stuff over the last few months. While we don’t quite have all the Ryder Cup stars assembled this is about as good as we will see on European soil barring The Open and as always it presents a pretty good betting heat. It is held at Wentworth every year so we have plenty of form to look at and over the years that has allowed us to build a fairly clear picture of what is required to win this week. Every year the winner pounds the greens here and they aren’t the easiest of greens to hit as they are well protected by bunkers and water, so anyone looking to contend will need to have their approach game very finely honed coming in. The greens are slick too with lots of quirky little run-offs like we see at Augusta and when greens are missed a good touch and imagination will be needed. Being tree-lined, a certain amount of care is required off the tee but if Luke Donald can win twice here it is clearly a second shot course even if some of the tighter tee-shots will demand a player’s attention. When the wind blows at Wentworth experience of the course tends to be crucial as the wind whistles around the trees and those who don’t know how it behaves can often struggle for distance control. The flag may be still yet 60ft in the air the wind can be whistling away at 15mph. It is no coincidence excellent wind players like Jimenez and Lowry have such a good record in the event. While there are plenty of additional stats to look at, historically a simple combination of GIR and scrambling is a very good starting point. I came across an additional course link this year that makes Benjamin Hebert look a great bet at 125/1 this week. Alexander Noren and Benny An both won the Rolex Trophy at Golf Club de Geneve so I started having a closer look at that event. 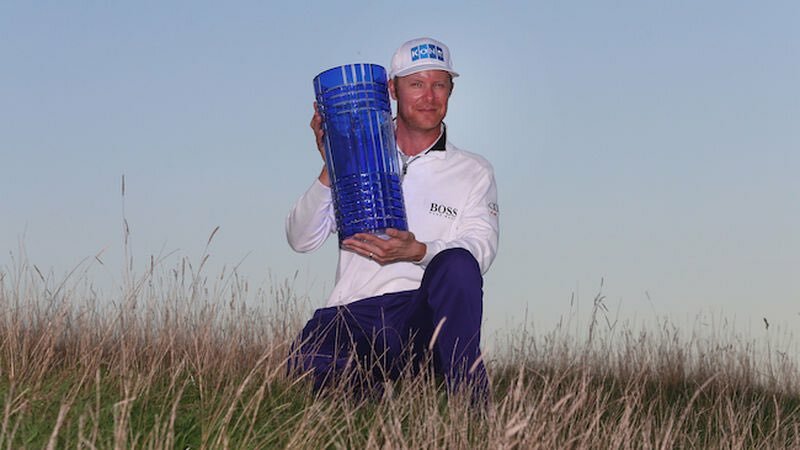 Further to those two Marc Warren has won there and he has an excellent Wentworth record, Julien Quesne won there in 2010 and has a 4th and 8th at Wentworth while 2013 PGA Champ Manaserro was runner-up in Geneva in 2010. I really liked Hebert for this anyway after making the final last week in Belgium but this potential link made him a stronger selection. We saw how well Lorenzo Vera and Lagergren played after a positive showing in the GolfSixes and Hebert should get a similar boost. That course in Geneva is a tree-lined parkland course with water running through it and it was designed by Robert Trent Jones who is responsible for Firestone and Valderrama which are another two solid gauges for Wentworth. Hebert has the long and accurate tee-to-green game required these days at Wentworth and while he has a missed cut and a 58th here they sandwiched a 12th position from 2016. Looks a little over priced and makes a lot of appeal as an each way bet at 125/1 with Skybet’s 8 places. Tyrrell Hatton has been struggling of late on the PGA Tour but a drop in grade here to the European Tour should result in a continuation of his excellent form prior to taking up his PGA Tour card. His results at this level read 3-15-8-19-16-1-1-8-3 since his slump last summer and having backed him for this last year at 25/1 I don’t think I can leave him out at 33/1. The case is that simple for me, he looks priced up on his slow start to the year in vastly superior fields. He is one of the best players on the European Tour and his 7th place finish in 2016 tells me that he can play the course. His accurate driving and brilliant short game should mean a decent week with the irons will see him go close. Erik Van Rooyen is becoming my cliff player but I need to remember how things paid off with Lagergren. There isn’t much more to say on top of last week to be honest. There aren’t many in the field with a better tee-to-green game than the young South African so at a ball-striking test like Wentworth I think 150/1 looks huge even if it is his debut at the course. He only lost last week to inspired eventual winner Otaegui and as long as he scrambles ok on the few occasions he does miss the greens I would expect him to outplay his price again. Quite whether he can make the top 8 on his debut I don’t know but he definitely looks a value price to do so. Matthew Southgate has missed both his cuts here and he normally prefers an open links layout but we have seen many Open winners thrive at Wentworth so I think he might improve for his 3rd look. Southgate played well last week to make it to the last 16 and I’m hoping that can give him a boost similar to Hebert. That course last week was tree-lined and he was 18th at Woburn in 2015. He has shown he has the talent and he could be set for a big summer of golf now he is close to full fitness again. Looks over priced at 200/1 but instead I’m going to have a more realistic top 20 bet at a huge 10/1. Lee Westwood should really have won this event a couple of times in his pomp, none more so that when he spun his wedge back into the water in a play-off against Ryder Cup buddy Luke Donald. Very few players know the course better than Westwood who is playing in his 29th event at the course and the last time his name wasn’t in the field for the PGA was 1993! I’m not sure that I quite want to back him each way but looking at even the last 3 years here something struck me as quite interesting. Last year he ranked 1st in scrambling, in 2016 he ranked 1st in GIR and in 2015 he ranked 3rd in total putting. He will know that his Ryder Cup campaign has to start here this week with the additional weighting given to the summer tournaments. If he can even begin to put those 3 attributes together then he looks nailed on for another top 20. He has finished inside the top 20 here on 14 of his 28 events at Wentworth, winning the Volvo Matchplay once. Looking at just this event he is 10 from 24 inside the Top 20 including the last two years. Obviously his powers are on the wane but another Top 20 looks very manageable and I’m having a confident bet on him doing so at 10/3. Others who were very close to making the team were Martin Kaymer and Pablo Larrazabal but I struggle to get them right so while they look to be big prices I’ll just keep an eye on them in-play instead.